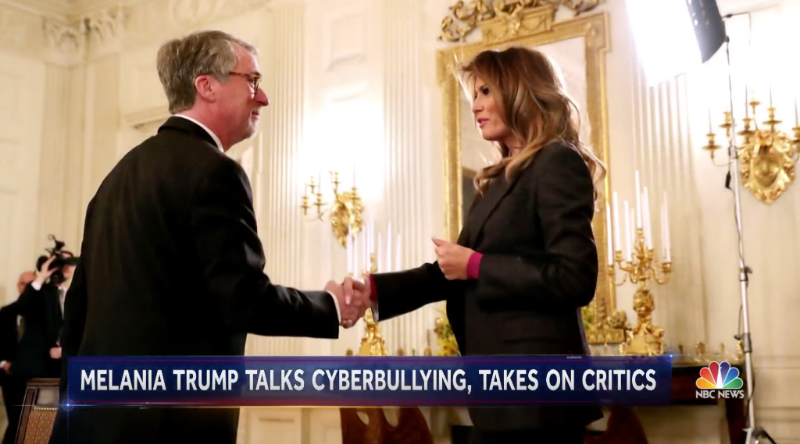 On Tuesday, FOSI’s CEO, Stephen Balkam, participated in the Technology and Cyber Safety Roundtable chaired by First Lady Melania Trump at the White House. Six leading tech companies, Microsoft, Google, Twitter, Facebook, Snap and Amazon were also present and discussed a wide range of issues from how to promote kindness online, to the tech tools parents can use to protect their kids and the pros and cons of anonymity online. I am a father of two digital daughters and the Founder and CEO of the Family Online Safety Institute. FOSI is in its 11th year and we see online safety as the critical challenge of the digital age. We must create a Culture of Responsibility in which industry, law enforcement, government, parents, teachers and the kids themselves take responsibility for this challenge. We need to work together to apply the Golden Rule, treating each other as we wish to be treated in our digital lives. I have worked with all the companies in this room as well as many more across the Internet ecosystem and I look forward to working with you and your team as you work on this initiative. For a more detailed readout, here is the AP story that includes quotes from FOSI’s CEO following the event. We look forward to doing our part by acting as a positive, nonpartisan force in the online safety field, working with the First Lady and her team as well as the wider community of companies, NGOs, researchers and advocates on this set of critical issues. You're receiving this email because you signed up for FOSI newsletters.